Classic with some edge and sparkle. 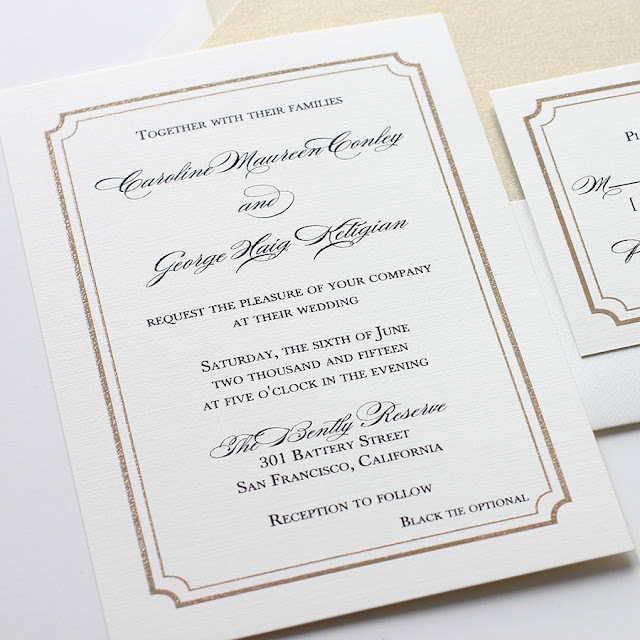 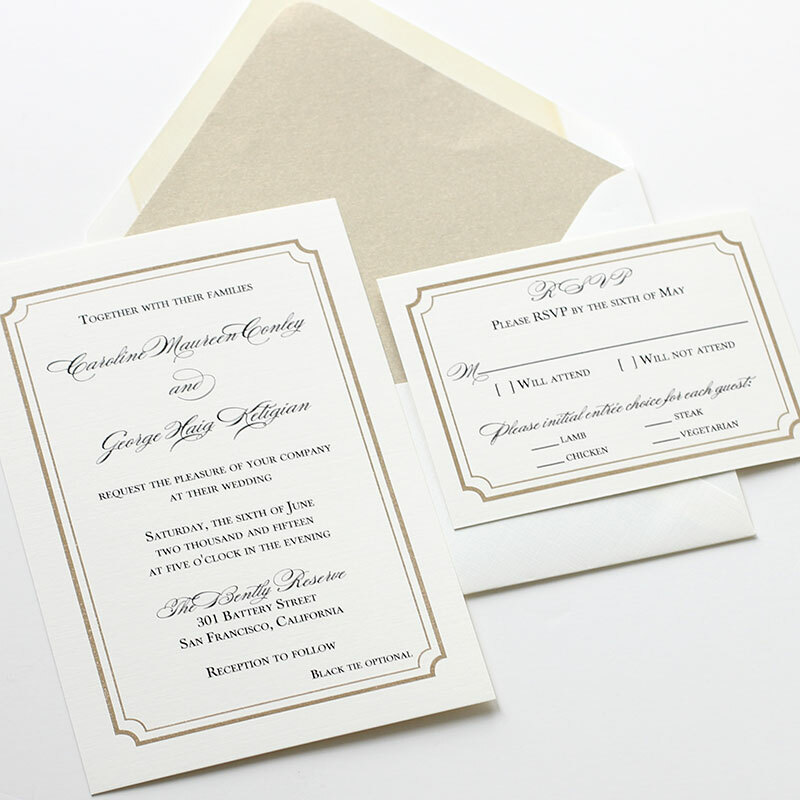 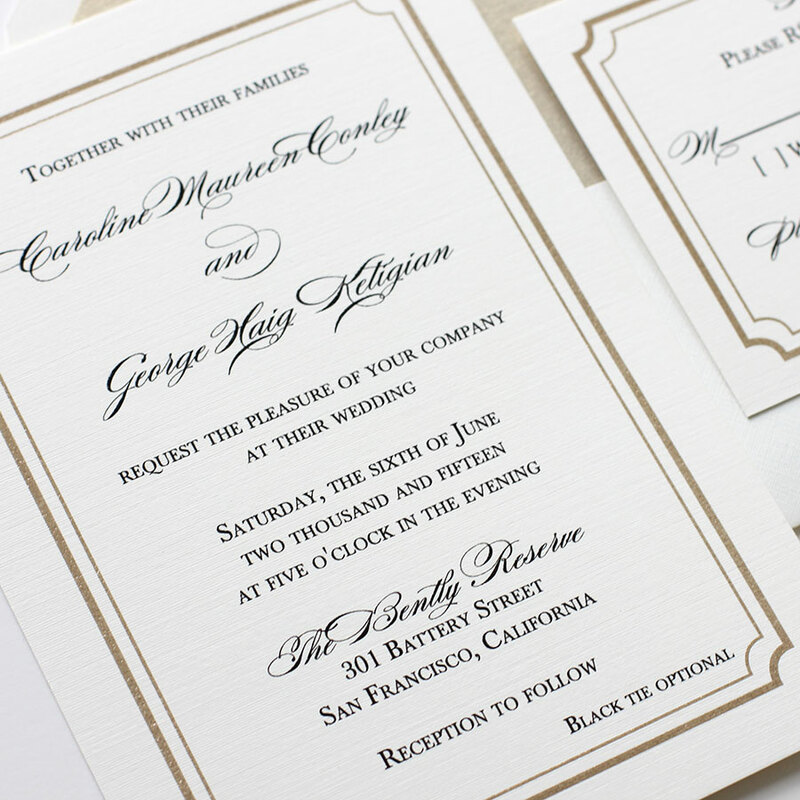 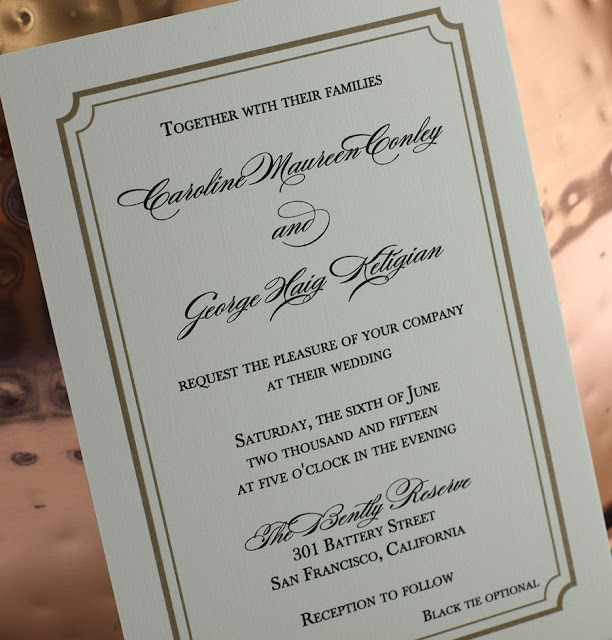 Our newest wedding invitation design: Classic Glam. Shown with metallic gold & black thermography printing on our fabulously thick linen stock.